I took out my socks today. I have been going around with sandaled feet for the past four months that it feels strange to start covering up again. I had an extra-long summer this year because I went to the Philippines (tropical weather - hot!) at the end of May and when I came back to Italy in July, summer just started. This had been my longest summer and I guess, I am ready to say goodbye to it and make room for some autumn cold. But I am not letting go of it just like that because I still have a coffee drink to share with you. 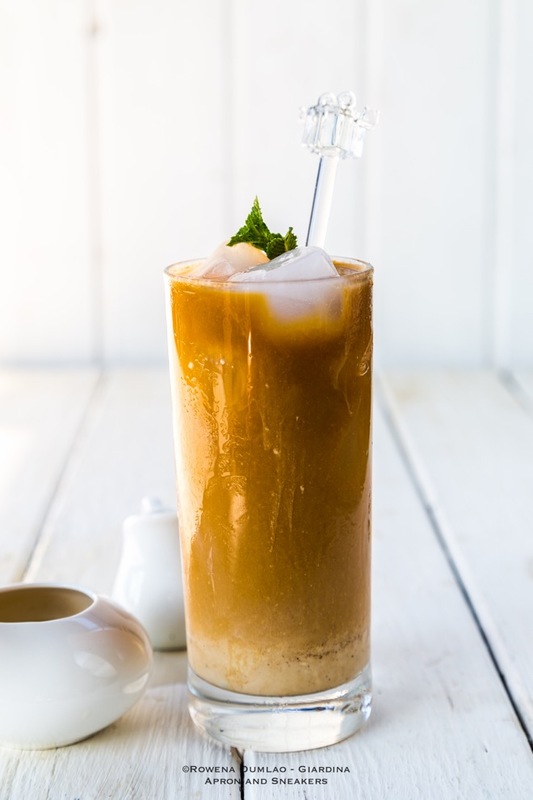 It's a very refreshing one with loads of ice and an exotic flavor of coconut and muscovado sugar together. Make your usual coffee, whether it is brewed or espresso like how I take it. 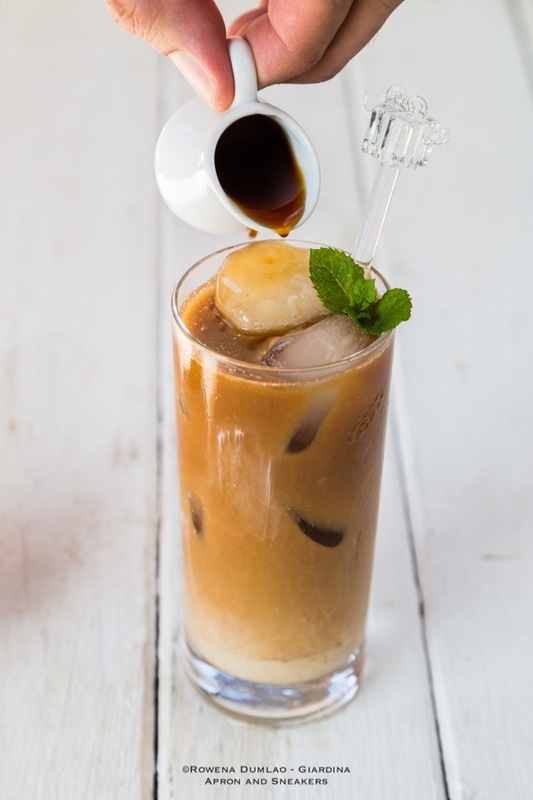 Pour it in a glass filled with ice then pour the muscovado-coconut creamer which is the best part because it is the one that gives the wow-flavor. Making the creamer is very easy because you will just combine the muscovado sugar and coconut milk together in a saucepan until it becomes thick like cream. Just add more sugar after combining the coffee and creamer if you prefer it sweeter. 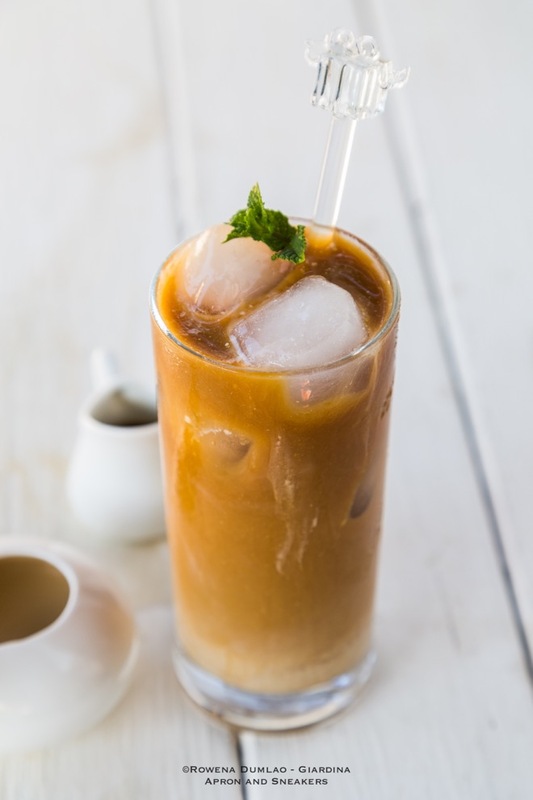 I must remind you that I am not usually big on sweet things and the sweetness of my creamer might be mild for the people who love their coffee on the sweet side. Muscovado sugar is a partially refined dark cane sugar with strong molasses flavor. If you can't find it, just substitute it with another kind of dark brown sugar. 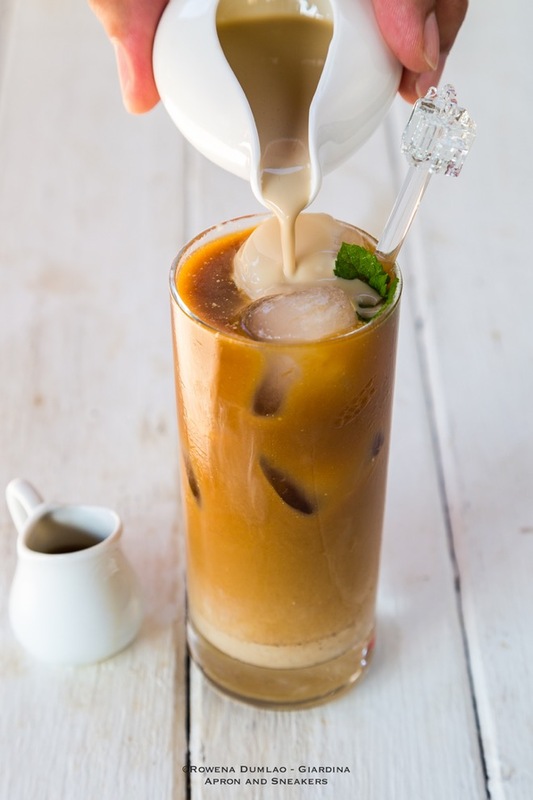 For the recipe of this Iced Coffee with Homemade Muscovado-Coconut Creamer, go to She Knows where I create recipes. If you want to see more of my creations, check out my Profile Page there. Enjoy your drink!